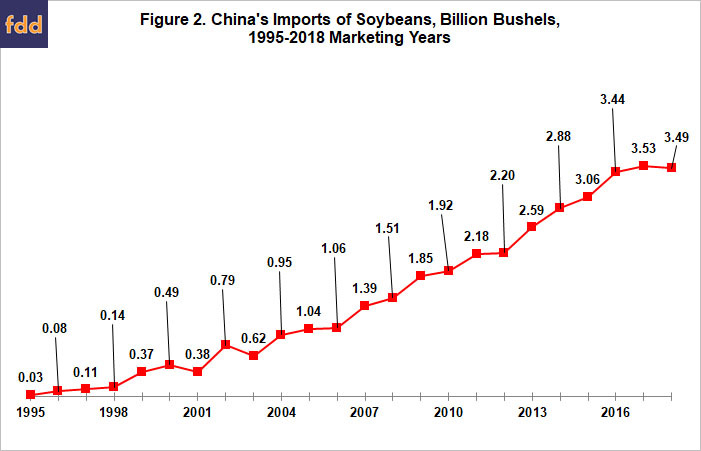 China’s imports are 1% lower for the 2018 than for the 2017 marketing year. 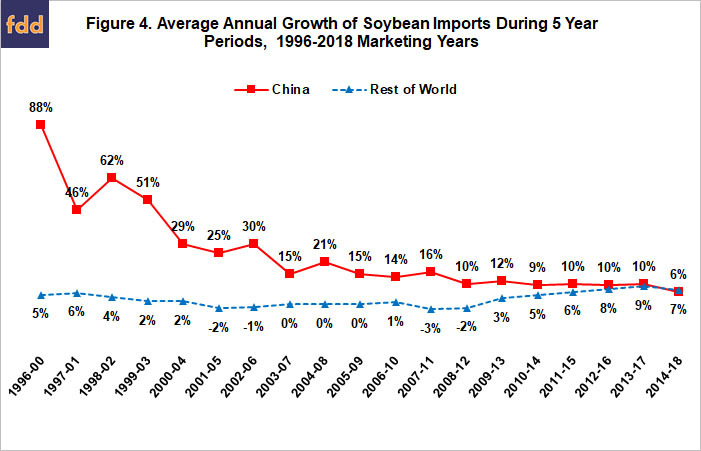 Although small, this decline is the first since 2003 (see Figure 2 and data note 2). 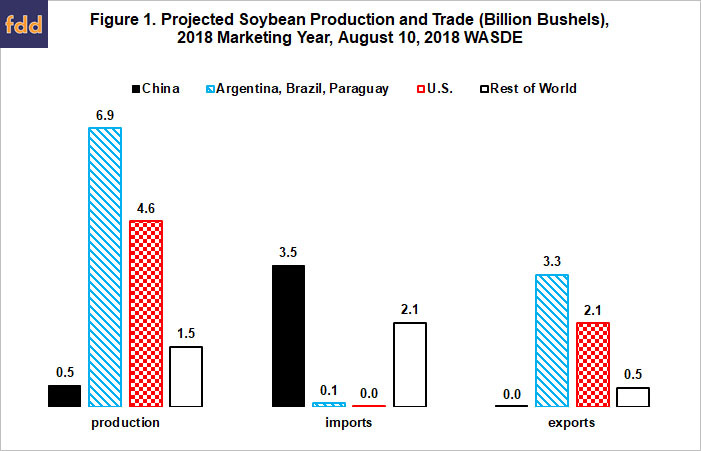 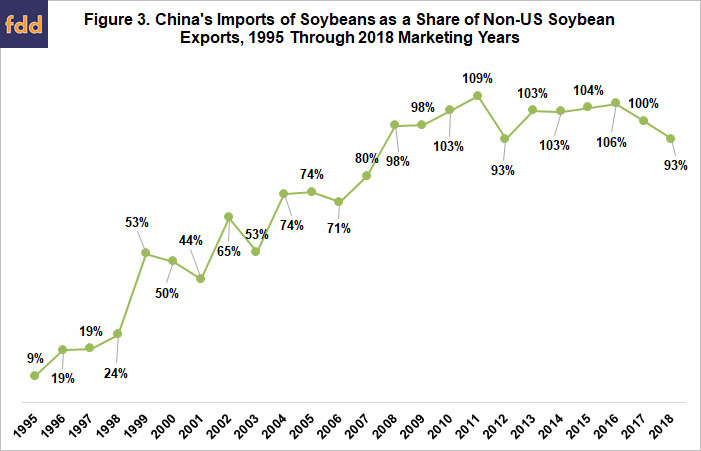 It is only the 3rd since 1995 when China emerged as a consistent soybean importer.